Santa Cruz - 12.07.2008 - 118 years have passed since the Ripper’s last and most horrific crime, and since then there have been many suspects. James Maybrick, a Liverpool busi­nessman, was one of the first and the diary which bore his name was declared false. 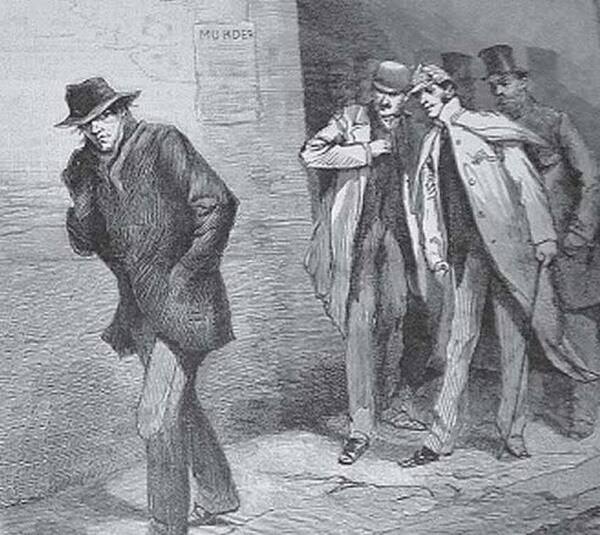 In the opinion of José-Luis, it was authentic, but only authentic in that the di­ary was written by Jack the Ripper, and this is where his theory differs from those of other investigators. He maintains that Jack the Ripper and James Maybrick were two separate people but that the Ripper iden­tified with Maybrick and his family. Other suspects over the years have been Queen Victoria’s grandson, the Duke of Clarence, but he had a perfect alibi. The Queen’s doctor was also a suspect, but this idea was discarded due to his state of health. José-Luis has a diploma in grapho-psychol­ogy from Madrid’s school of legal medicine and is a distinguished member of the Spanish Society of Graphologists. In his book which will be published within the next few months he will present more than 30 definitive forms of proof that there is no doubt who this psychopathic assassin known as Jack the Ripper really was. It is certain that he was intelligent, he didn’t com­mit suicide, was not ar­rested and didn’t end up in prison or in a hospital. José-Luis claims that this is no hypothesis or theory, that he knows who Jack the Ripper was and that he is going to prove it to us. Island Connections will let you know when this book, which solves the biggest whodunnit of all time, is published.